We Live. We Die. Forever Is a Myth. Buy This Erasable Boogie Board For $16. Permanence is overrated. For evidence, go back and read what you wrote in your LiveJournal when you were 17. How hard does it make you cringe? 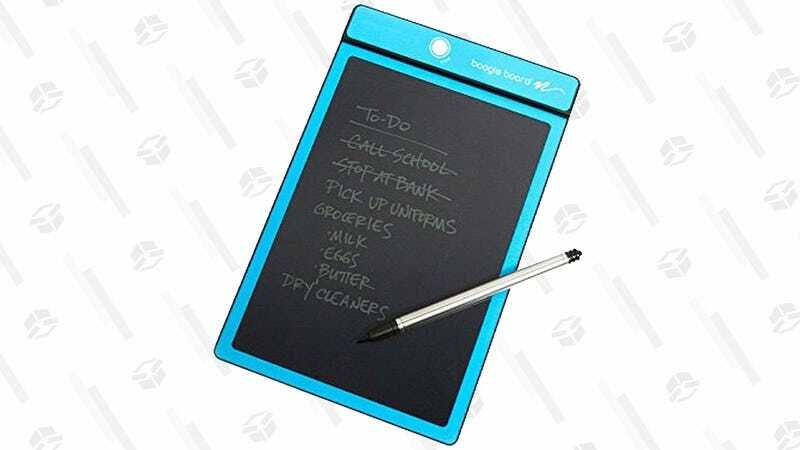 You never have to feel that way again with the Boogie Board 8.5" LCD Writing Tablet. It allows you to endlessly write, rewrite, erase, and forget, and it’s way better for the environment than using a paper and pen. Just think of all the lists, reminders, and deep, dark secrets that you’ll be keeping out of landfills.